Siyabonga Kunene, a physiotherapy lecturer at Wits University, visited England on a mentorship programme from 16 September to 14 October 2018. He was invited by his mentor, Professor Graham Smith (a rehabilitation and sports injury consultant based in Glasgow, UK) to visit for advanced clinical and academic exposure in sports rehabilitation. Kunene worked alongside the medical team of the Notts County F.C in Nottingham and Coventry City F.C. His activities included physiotherapy management of various sports injuries and performance-based interventions. In addition to hands-on clinical physiotherapy, Kunene spent two at Coventry University and at the University of Nottingham. He worked alongside faculty who deliver sports rehabilitation and exercise science programmes. Kunene participated in the clinical supervision of student placements in sports injury clinics and sporting clubs, and participated in postgraduate teaching and research activities. Kunene also presented his Wits PhD research to academics at Coventry University. His research aims to develop an injury prevention and rehabilitation programme in under-resourced communities in South Africa, for athletes with anterior knee pain. His research also investigates the framework for the implementation of this programme. Through this global exposure and local research, Kunene envisages improving and strengthening sports physiotherapy at Wits. He aims to make Wits Physiotherapy the first choice programme for local and international students. “My visit to England has boosted my knowledge and skills as a clinician and as an academic. The experience will assist me to take the sports physiotherapy programme at Wits forward,” says Kunene, who is committed to improving sports physiotherapy services provided at the Wits sports clinic. From 2019, Kunene and his team will implement a new sports clinical programme for physiotherapy students at Wits. The programme will include a student-led clinic to ensure clinical experience for physiotherapy students while providing an essential service to Witsies and local communities. The Alliance of South African Independent Practitioners Associations (ASAIPA) has already recognised Kunene’s advances in his field. 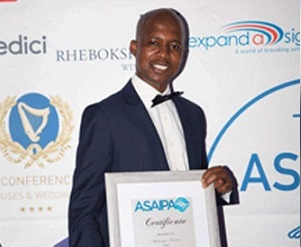 ASAIPA presented Kunene with a national award on 10 November, which acknowledges his outstanding achievement in sports therapy and his sports physiotherapy services to many South African athletes. 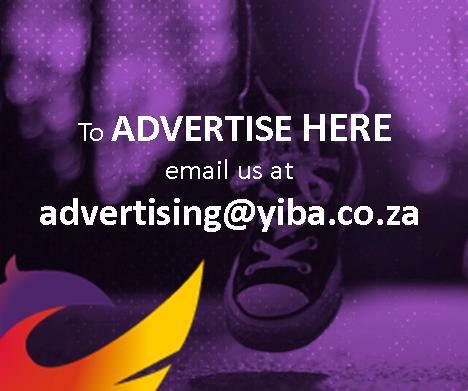 “I participate as a sports physiotherapist in various local and international, professional and recreational sporting events including world games, commonwealth games, all Africa games, African youth games, and University sports for Africa,” he says. Kunene’s visit to England was made possible by the support of his Head of Department, Prof. Hellen Myezwa and (former) Head of the School of Therapeutic Sciences, Prof. Judith Bruce.